Blex's Tweets Shown LIVE On National Television !!! Here is a list of times I have had my tweets mentioned on national television !!! Yes, I know, for the majority of people viewing this page, your CARE FACTOR = ZERO. But, I got bored again and figured I should make a page that puts all my cell-phone image grabs on one page !!! CURRENT COUNT = 10 !!! June 8th, 2014: WOW, THIS IS A BIG ONE! So there I was, laying on my mom's couch watching the Brewers game on a lazy Sunday afternoon. It was about the fifth inning and my mom and I were both dozing off ready for a quick nap. After commercial, when the game came back on I hear Brian Anderson say "it's time for the AT&T fan photo of the game." 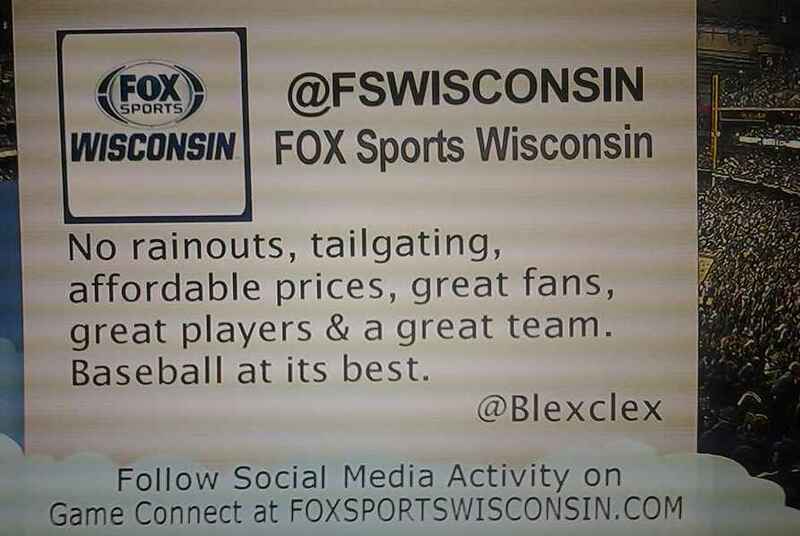 I half opened my eyes thinking to myself "hmm, maybe they'll show one of the few ones I sent in over the past month with the #wisfanphoto hashtag of my cat Bubbles." LO AND BEHOLD! BAM! THERE SHE IS! I was so surprised I shouted as loud as I could "MOM!!! IT'S BUBBLES !!!" So much for the quick nap! I took the below photo about a month prior while I was laying on my couch and Bubbles was sitting there with Scooter Gennett standing in the batters box. It was a majestic moment because, as you can see, the sun was setting on her making the moment surreal !!! It reminded me of when Roy Hobbs struck out Babe Ruth in the movie The Natural with the sun setting in the background. Anderson said that "he" (even though Bubbles is a she) looks mean and is fish-eying the camera (WHICH SHE WAS). Immediately my friend Crowgey texts me with one word "NICE!" 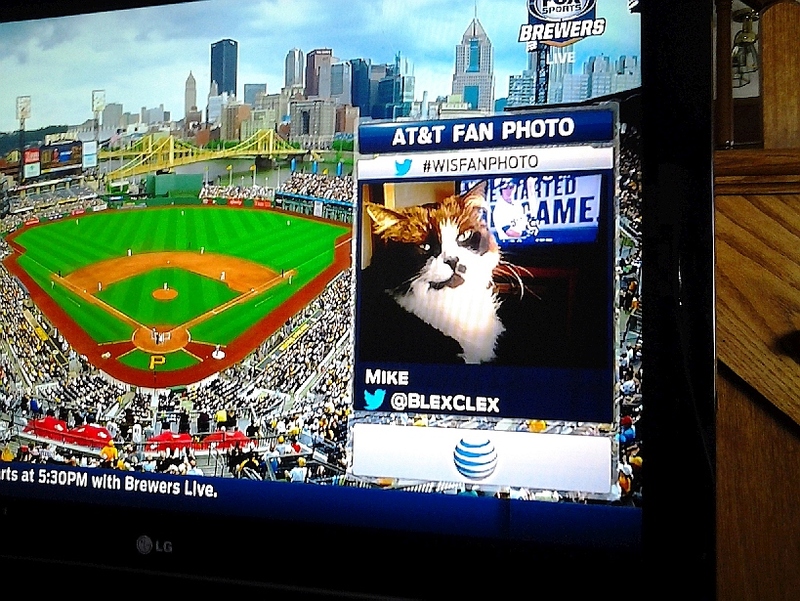 Tweets came flying in from all the #brewers fan friends I have saying "IT'S BLEXCLEX'S CAT!" AN INCREDIBLE MOMENT IN BUBBLES LIFE! I love her beyond words and when I got home kept telling her she was a "famous kitty" and she just purrrred and purrrrred away like she always does when I get home! The Brewers won 1-0! Suffice to say, they are undefeated (1-0) after Bubs was shown on TV! May 23rd, 2014: Friday was the second "Fan Show" on Intentional Talk. Earlier in the week, they sent out a tweet asking what music people wanted to hear on the show. I figured, why not give them my go-to-karaoke song (a question Millar often asks guests on the show) and replied with GUNS N' ROSES - PARADISE CITY. About half way into the show, they came back from commercial break and what song did I hear in the background? YOU GUESSED IT! PARADISE CITY! I also tossed an #askkevin question on there but they didn't use it so with ten minutes left in the show I recorded the rest and took a nap. The next night, I decided to watch it just incase I was mentioned in the last ten minutes. INDEED I WAS! I was thanked for my contribution! December 10th, 2013: AGAIN, on Intentional Talk! The show before Millar's armpits were sweating and he informed Rose that he was a "pitter" and not a forehead sweater like Rose. I found that funny and actually laughed out loud when I heard that. So the next day they tweeted something about his armpit sweat and I thought I would chime in. Didn't expect it to get posted but it did! 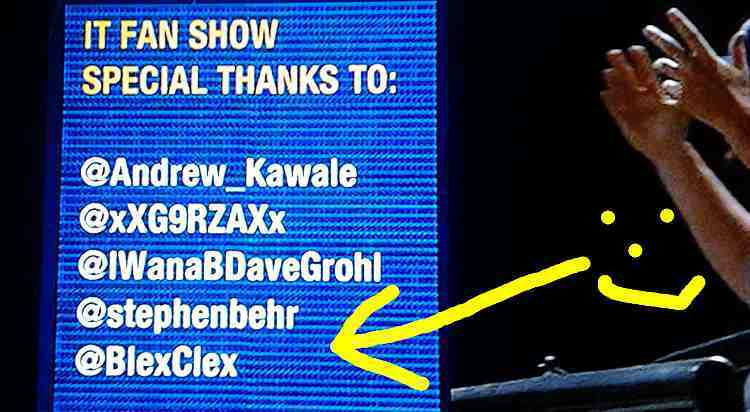 July 9th, 2013: ONCE AGAIN, made it on Intentional Talk! All baseball analysts on TV always say that when brawls erupt they hate to see it escalate into a fight. YEAH RIGHT! ADMIT IT EVERYBODY, we all LOVE seeing a hitter charge the mound after getting plunked! Hell, when there's a bench clearing brawl, it's a "get on the dial" moment and texts start flying back and forth between fans informing to get the tube turned to MLB Network to see the awesum brouhaha !!! So, when Rose and Millar asked on air what do you you think will happen in the D-Backs v. Dodgers game, I replied with this !!! I state the obvious! May 10th, 2013: On Intentional Talk ONCE AGAIN !!! When Carlos Gomez of the Brewers was on the best interview in baseball !!! Indeed, my nap had to wait !!! February 7th, 2013: On Intentional Talk again .. TWICE in one day !!! December 20th, 2012: Kevil Millar on Intentional Talk asked "what MLB player would play the best Santa?" I sent in "TODD COFFEY" and made it on the air! PLUS, after it was shown, Millar himself said he was the best Santa but unfortunately he didn't say anything about my tweet. September 28th, 2012: FSN Broadcast of Astros vs. Brewers. The question asked was "What makes Miller Park great?" !!! 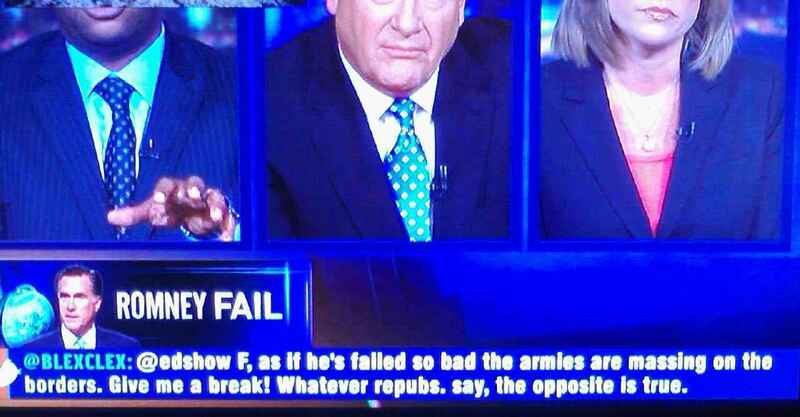 June 1st, 2012: The Ed Show on MSNBC critizing Mitt Romney for his lunatic crazy talk !!! September 8th, 2011: Intentional Talk on MLB Network calling Pujols a pretty boy after the Brewers and Cardinals benches cleared the night before !!! Contact Me for questions or to tell me I'm an idiot.